Mercedes Benz and www.theroadtonirvana.com share a motoring relationship of sorts. ‘The Best or Nothing’ says it all. The statement resonates so fiercely with our passion for creating experiential motoring images, that we push ourselves to the absolute limit every time. The moment we got the message from Germany, our planning began. We were to deliver images that were clearly rooted in India. Routine as that may sound, fitting a car/vehicle into that bracket was always going to be a challenge. The list of possible destinations was endless. Right from the backwaters of Kerala to the mountain passes of Ladakh and even the seven sisters of the North east, we considered everything. After all, this was a unique opportunity. Through our photography, the world would lay its eyes on India. Something still eluded us. It was the peak of the Indian Monsoon. Everywhere, the skies were grey and the earth a wet green. Then it struck us, we would have to outrun the Indian monsoon! We would head to Rajasthan! 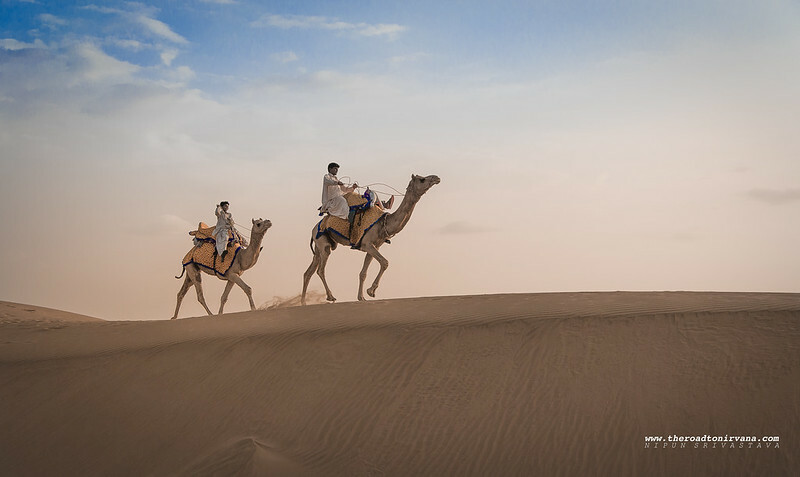 The Desert State of India is home to the Thar Desert. A place we are very familiar with and if you know our work, it is a place we love to shoot at. The sound of the wind in the Desert carries with it stories of times past and as the sun beats down relentlessly each day, the sheer tenacity of the desert people comes to the fore. The odds were stacked against us though. The Desert was 1200 kilometers away, the rain was heavy and we had just enough time to make it all happen. Along the way, we were also to shoot at Vadodara for a separate brief. Then came the question of the car itself. We were to shoot the new CLS and also the GL 63 AMG both and we had just about a week to make it all happen. Even though the weather was an obvious risk, The Nirvana Team was ready and we slotted ourselves into gear. We flew out to Vadodara where we were to collaborate with a local artist for 2 days. For Mercedes Benz, of course. This shoot was part of the ‘Homestory’ and artist profile for the St Moritz Art Masters, Switzerland. Making a presence in Vadodara! 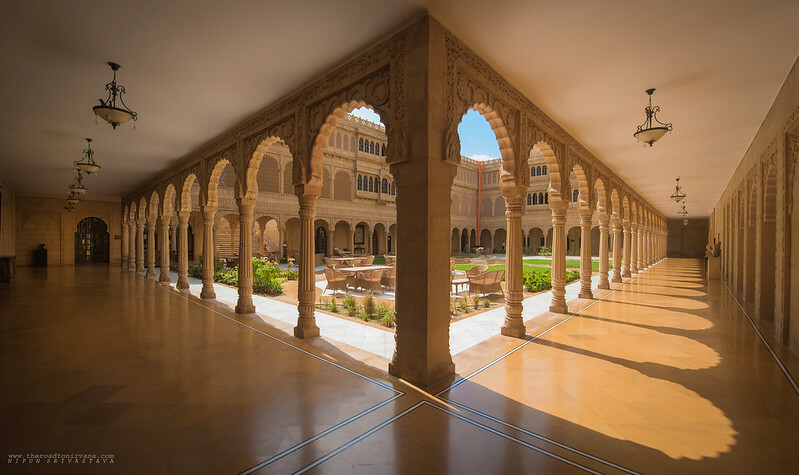 The Laxmi Vilas Palace at Baroda is an eternal icon of the city. In every mention of the City, the Palace features at the top. The question was – How do we get in? We exercised all our contacts and then some more to at least get a word through to the palace authorities. The people at the palace were superbly kind to us and let us shoot on the grounds solely on our merit. 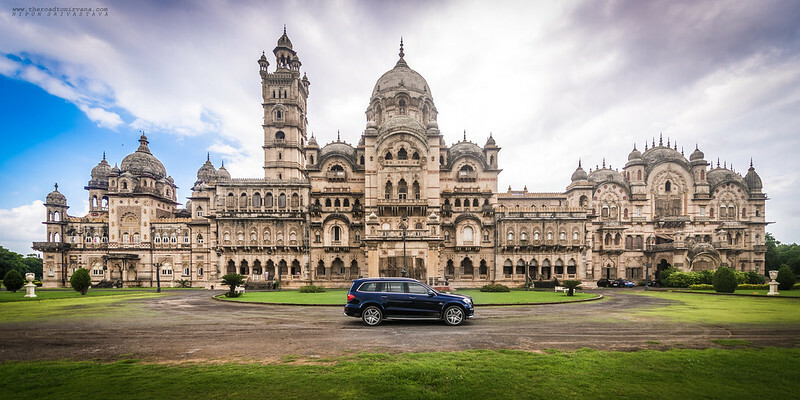 The palace gates opened and we drove the mighty GL 63 AMG onto its August grounds! Rani ji, the reigning Queen of Vadodara also graced our shoot and met with us. We were truly honoured! On this day, even the Sun came out for a short while and we got a few shots worthy of the Mercedes Benz Badge. As soon as the adrenaline of shooting at the Palace wore off, the realization of the start of the road trip set in. Experiential road trips are our forte but even then, each road trip shoot brings with it unique challenges. The Indian monsoon was still unrelenting. We were very low on sleep too, an average of just three hours a day. Then again, if the car you’re driving is more luxurious than a 5 Star hotel, who needs sleep? This is where the GL 63 AMG really came on song. 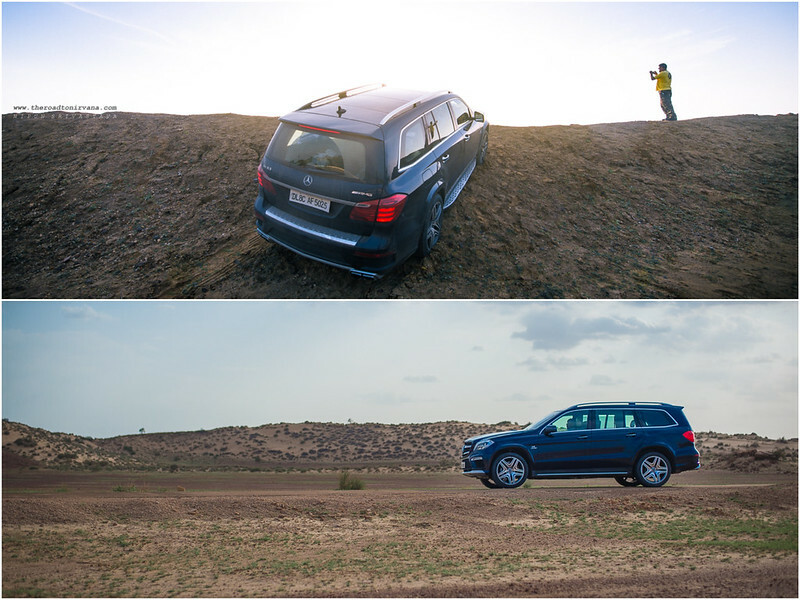 “Enough power to move the earth, while keeping one cocooned in luxury.” were lead photographer Nipun Srivastava’s actual words just after they hit the highways leading into Rajasthan. GL 63 AMG – Grunt Central! Whoa!! That’s the first thought one’s brain will have when you ram the pedal into the GL. You will be punched into your seat and then your world will change. As you hurtle forward, your ears will tingle to sounds of the V8 sitting under the hood. As the needle hits red, one pull of the paddle will usher in another delivery of power as if it was something the gods arranged for you to have. Crisp steering response and a not so heavy steering wheel make controlling the GL 63 AMG a pleasure. By now, you’re in a trance. Eyes on the road, pedal to the metal and going hell for leather – that is the AMG experience. 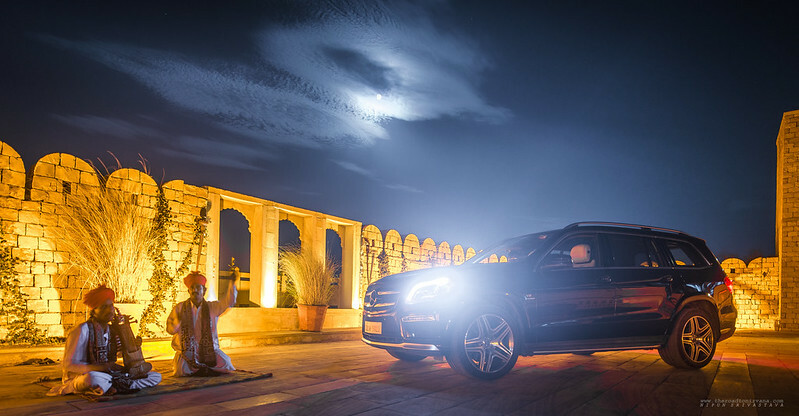 The handcrafted engine will follow your every command, in the GL 63 AMG, you are the Maharaja of the Indian road. When you’re coming, they will hear you and when you’re going they WILL look. That’s the reaction one gets on the roads. Indian highways are notorious. Bad roads were the least of our concerns. The Blue Hulk, as we had begun to call the mighty GL, was powered by a V8 Petrol Bi-Turbo engine. A high performance engine like that needs to be fed appropriately. Only a high octane diet would adequately satiate The Hulk’s appetite. Sadly though, out near the Desert, just finding a fuel station which sold petrol was a luxury. The fuel economy of just over 4 kilometers to a litre of fuel (when Nipun aka lead foot was at the wheel) was not helping things. On the secluded desert roads, we fueled up every opportunity we got! 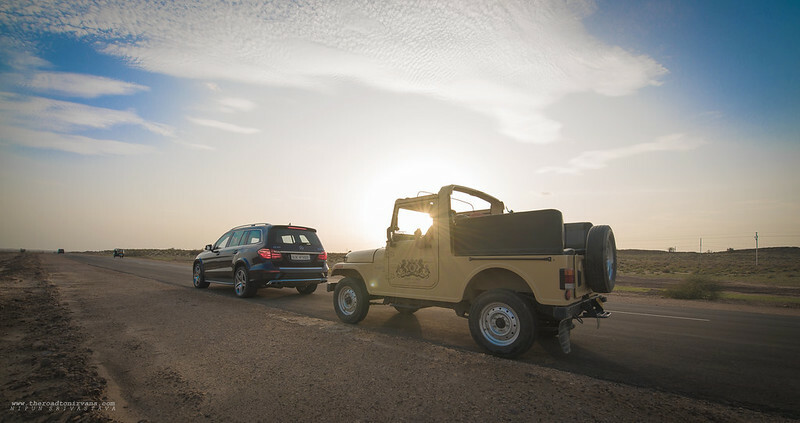 We covered the distance of 650 Kilometers from Baroda to Jaisalmer in record time. Stopping over at Barmer and at a few other places along the road as well. Driving across the landscape was such a rush that we forgot lunch! Improvisation was the answer – Bananas! We reached Jaisalmer as the moon rose over a now clear sky. Team Nirvana had finally outrun the Indian Monsoon. We love it when a plan comes together! The Desert, The City: Jaisalmer. This city and Nirvana go back a long way. One of our pet projects; Rooh – e – Rajasthan meaning ‘Spirit of the Desert’ has featured this superlative city. To us, Jaisalmer is like home. To twist things a little, this time, we were not staying at the city per say. 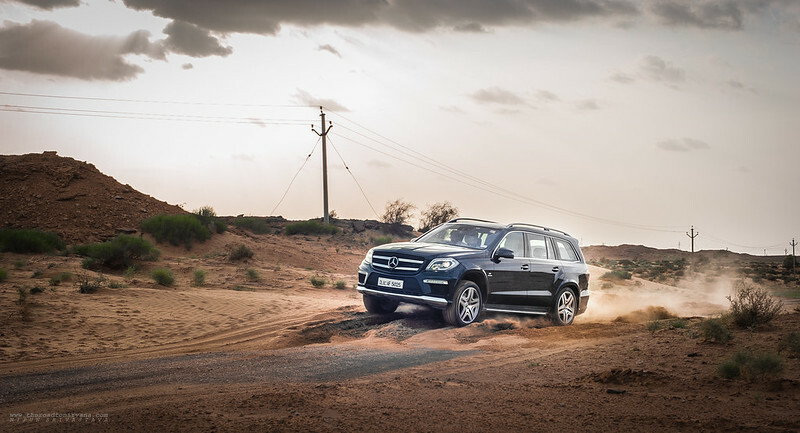 Team Nirvana and the mighty GL 63 AMG would be put up at a special place a little outside Jaisalmer. Super car – super hotel, you know. The luxurious surrounds of Hotel Suryagarh out in the Desert was to be our new playground and also our home base for the remainder of the shoot. As soon as we were in the city, we tanked up the Hulk and then our tummies as well. Shooting photographs on an empty stomach is a recipe for disaster ;). With full stomachs, we marched onto the Desert, knowing exactly where and how we were to shoot. This shoot started at 11pm and we shot in the dunes for a couple of hours. 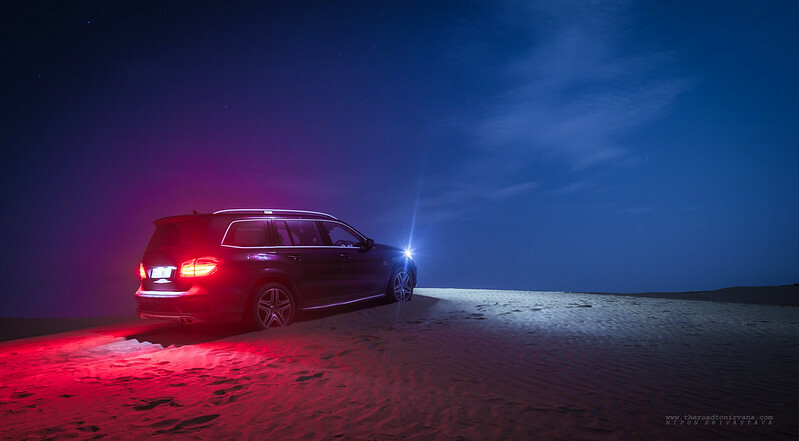 Not a soul around for miles, the only lighting we had for this mini shoot was the Moon and the GL 63 AMG itself. After our initial fill of playing around in the sand under moonlight, we drove back to our (not so) humble abode. A word about the hotel we stayed at: Suryagarh is a hotel which has little in common with the other places we’ve stayed at. In the middle of the arid desert life is difficult to say the least but if you’re at this hotel, everything is literally taken care of. We had spoken to them about our “plans” beforehand and they were most happy to oblige. Even before we reached, they knew what we needed and had it ready for us, customized to our liking. Amazing. It helps to have things sorted when on a photo shoot such as this. Kudos to Suryagarh! Nothing ever goes to plan. We were up early for the sunrise but the eastern skies over Jaisalmer were overcast with mist and remnants of the monsoon. It felt as if the skies themselves were telling us to take a break. For the first time in 6 days, the Nirvana team sat down for a proper breakfast. Breakfast is a luxury few can afford in the bets we make to shoot in the golden hours. One look at our work and the sun and its shades will tell you how much we love using just natural sunlight. As the Sun rose, the skies cleared. We began our final recce and chalked out a rough plan of action. Over the next two days, we shot in the desert, at our hotel and of course the city of Jaisalmer itself. For us, the two most important things are motoring and travel. These words continue to define our style of photography. 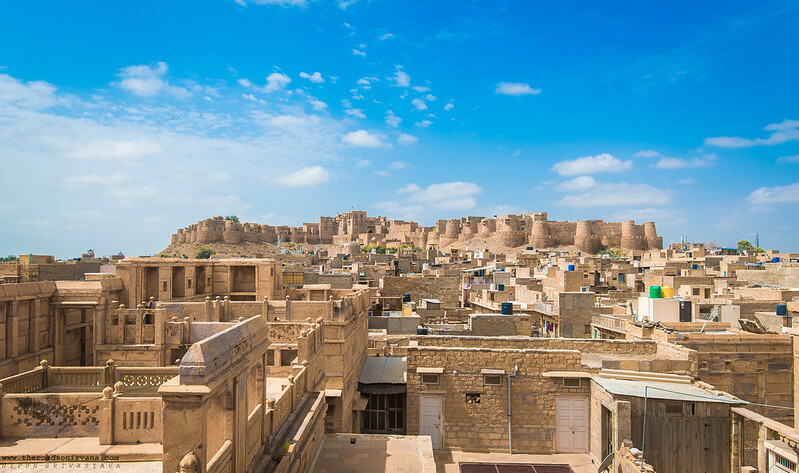 Jaisalmer and its surroundings gives photographers like us the perfect play ground to make our mistakes, learn and then deliver – every time. Not to forget, another word which defines our work is adventure. We love taking a risk or two with everything we do. Whether it is shooting without camera straps altogether or dangling out of an open top jeep to get that perfect rolling shot, we’re always pushing limits. We wanted to explore the roads that turn off of the main highways here in the extreme western parts of India. These small and almost inconsequential roads are sometimes gateways into photo opportunities which one would never imagine out on the highways. Going ‘off the beaten track’ as they harp every time ;). As we drove further into the desert on one of these inner roads we saw the real temperament of the elements here. The landscape in this part of Rajasthan is unpredictable, from hills to sand dunes to sand dunes the size of hills – one never knows what will pop out of the horizon. 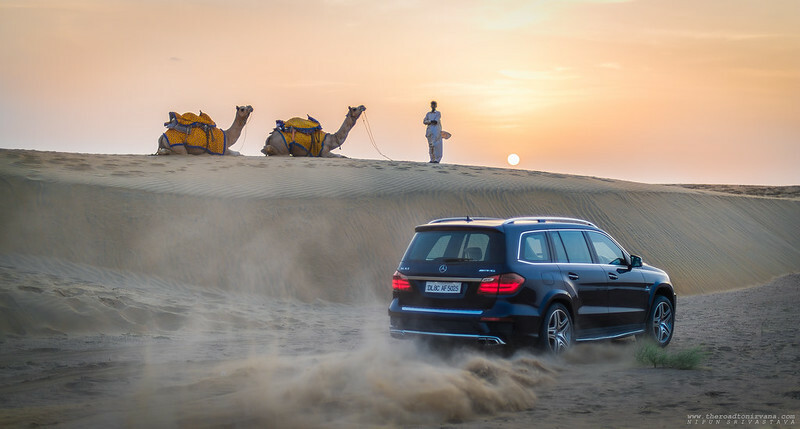 In the Thar Desert, sand has the unquestionable right of way. Hell for leather – always! Another side to Rajasthan’s beauty is the music here. This desert region is known for its folk and regional music and musicians. No evening is complete without a song or two from the repertoire of these tenured musicians. The tunes are mesmerizing and take one into bygone times when kings and queens reigned over this part of the world. It was a simple shot that popped up into our heads. Musicians + car + local architecture, simple. As it happened, on that particular evening, the Super Moon had come out in all its glory. The moonlight and the clouds added just the right amount of drama into the frame, we think. This was also the last night of our week long shoot. Before the Sun rose again, we would be on our way back to Pune. The shoot had ended but the journey was a long way from being over. Not only did we have to drive our way back but like most journeys this was an experience which would continue in our minds for quite a while. 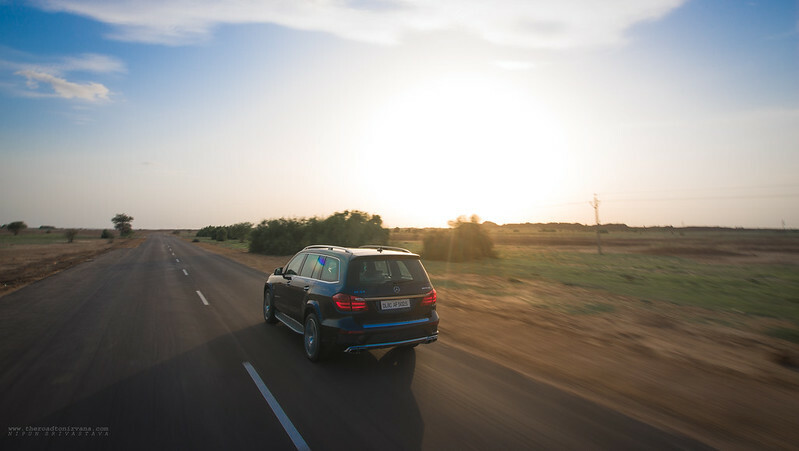 The GL 63 AMG was the first super car we had ever shot, here in India and the way we do things, that was a big deal. We can hardly take credit for this shoot though. Yes, we shot the images but without the special support of our friends, acquaintances and team members none of this was possible. It was the people that we met who made it possible, we just made it happen :). Germany: (Client) Mercedes Benz for their awesomeness. Pune: Mercedes Benz India for the vehicle. 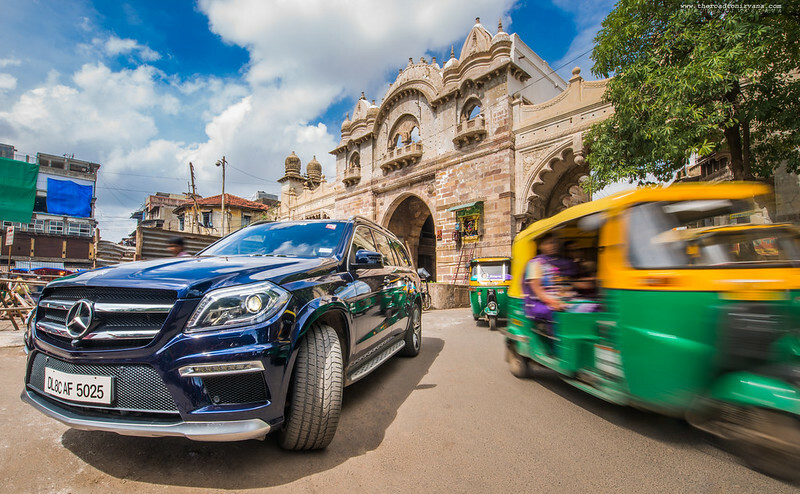 Vadodara: Benchmark Cars – local Mercedes Benz Dealer. Miss Vishwamohini Priyalak Bhatt, Miss Malvika Singh and her highness The Queen of Vadodara. Jaisalmer: The Suryagarh Boys: Siddharth, Sunny, Rajesh, Asif and Kunal for taking every effort to make sure our shoot and stay goes smoothly! Team Nirvana: Niranjan Tarphe for his support on shoot. This entry was posted on September 8, 2014 by Nipun Srivastava. 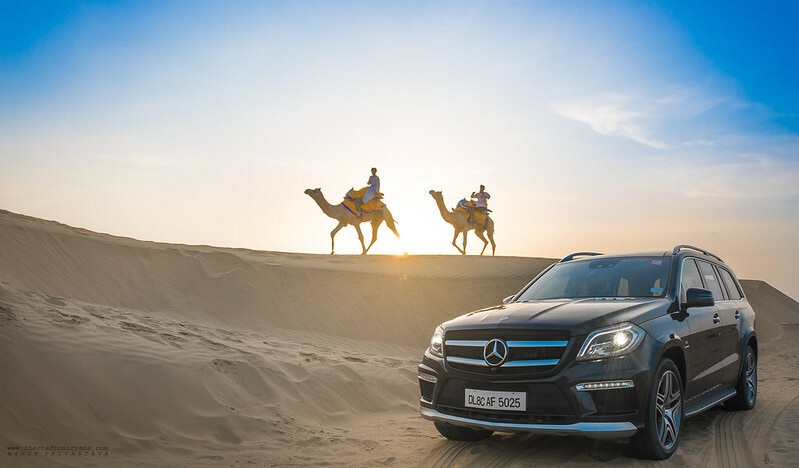 It was filed under Motoring, Photography, Professional travel assignments and was tagged with driving, GL63AMG, highway, india, Mercedes Benz, motoring, Nipun Srivastava, nirvana, photography, rajasthan, rise, sand, sand dunes, sun, sun set, Travel.